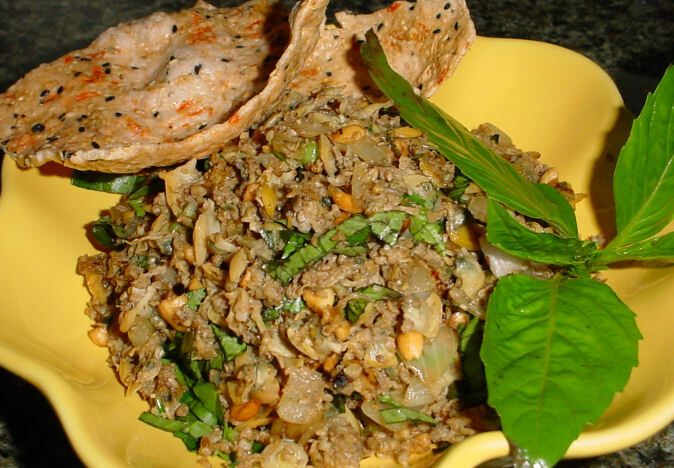 Cao Lau has been considered as a typical dishes remaining the culinary soul of the old Chams. The know- how secret that make Cao Lau becomes the king of food lies in the perfect combination of noodles, pork, bean sprouts, mint and croutons. Once tried Cao Lau, you would taste the crispness from the croutons, crunchiness from bean sprouts, chewiness from the meat and the firm soft and sooth of noodles which has absented from any other noodle dishes type. Quảng Noodle has been awarded the “The worth of Asia cuisine” to twelve of Vietnamese Specialty Dishes due to Asian cuisine standards. 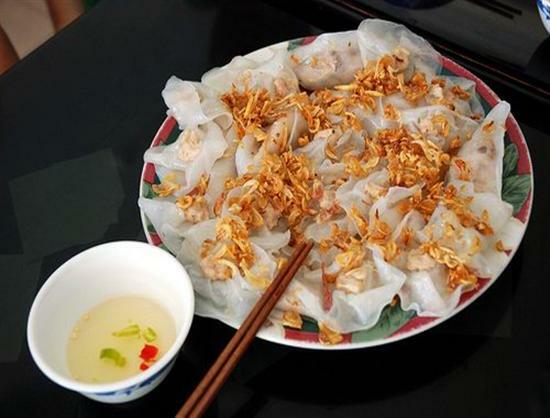 The pasta is yellow or white in color and made from rice flour and covered with broth as serving My Quang is mixed with shrimp, pork and vegetables, and topped with grilled rice paper and spices. The eye-catching Quang noodle attracts love of visitors by its color of pasta, red peppers, tomatoes, banana flowers and herbs as well as the fragrant broth blending with slightly sweet and a smidgen spicy. 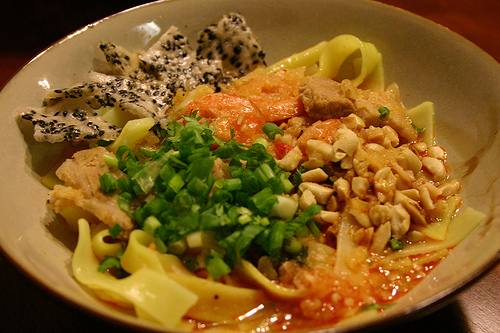 Quang noodle is served with chicken meat, shrimp, fish or crab. Like the name describing the loud sizzling sound when the rice batter is poured into the hot skillet, Banh Xeo is one the most popular street snacks in Hoi An. 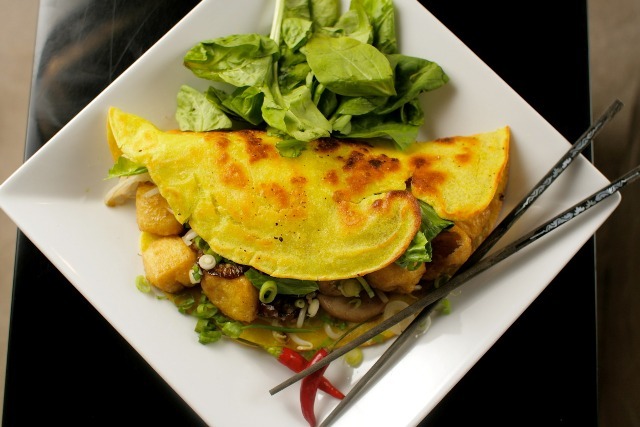 Banh xeo is a savory fried pancake made of rice, flour, water, turmeric powder, stuffed with slivers of fatty pork, shrimp lying over the sliced green onion, bean sprouts, lettuce leaves, basil and other herbs. Banh xeo is drenched with a sweet and sour diluted fish sauce. Walking along small streets, visitors cannot keep themselves from hearing joyful sound of the cooking and the fragrant flavor of this dish that lures people to enjoy this delicious Banh xeo. Hến xào xúc bánh tráng (minced clams) is the blend of the soft clams together with the crunchiness of the rice crackers. This dish is a great delight your taste buds. The clams are boiled and then fried with dozens of fragrant vegetables and spices including spring onion, pepper, chili, ginger, sugar water and peanuts. The rice paper is made from two pieces, the first is crispy, the second is wet. Soft, thin fresh rice paper between crisp, grilled rice paper making joyful sounds when squeezed. This dish is really goes well with beer, wine or Coca-Cola. White Rose cake is a type of dumpling made from translucent white dough filled with spiced minced shrimp or pork, and bunched up look like a white rose. Many visitors fall in love with White Rose not only for its delicious and exotic flavor but also for the pretty luxurious appearance. 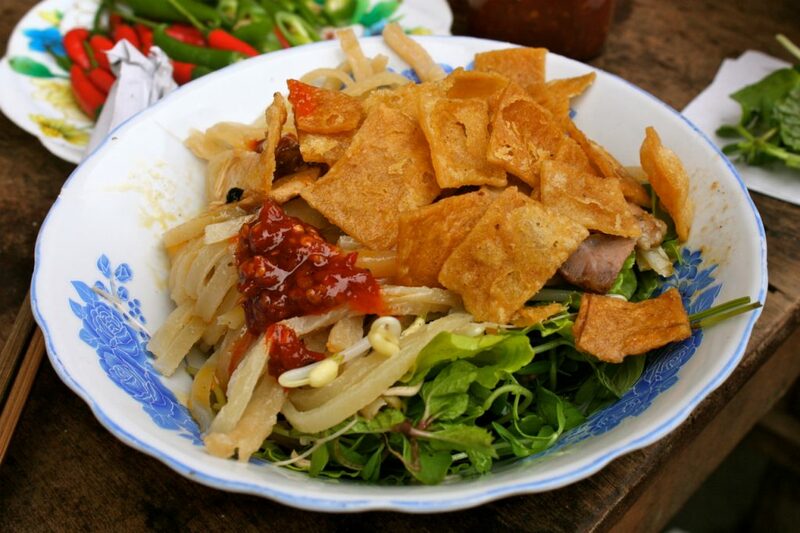 It is considered as one of the special flavors of the ancient town of Hoi An. Visiting Hoi An, you should not miss White Rose cake.